Bluetooth speakers are perfect for your next camping adventure or beach party, enabling you to blast your tunes on the go. And this Soundjump Bluetooth Speaker definitely packs the heat with its premium, long-lasting sound. You can now get 30 percent off the Soundjump, which is currently just $104.99 on TNW Deals. 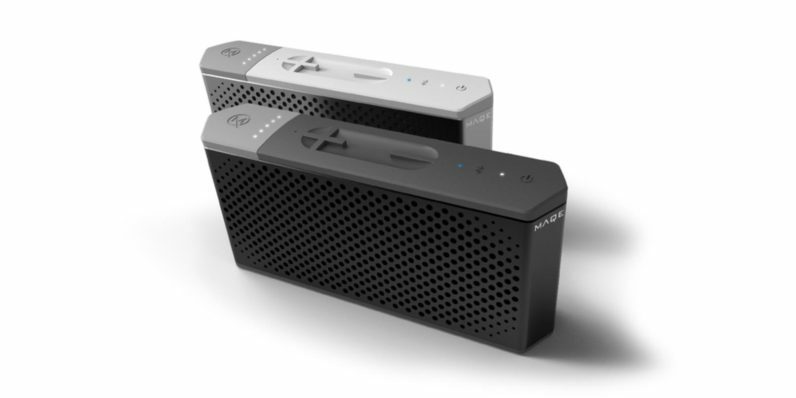 While the Soundjump may be small and portable, it isn’t lacking in the power department like other Bluetooth speakers. Thanks to some serious tech — namely its dual 45mm full range drivers — it’s guaranteed to deliver the highest highs and deepest lows with pristine clarity. But what truly sets the Soundjump apart from the rest? Its capacity for providing a full 20 hours playtime without interruption. Not all Bluetooth speakers feature a battery rocking a massive 6,000mAh of power, but this one certainly does. Your Soundjump Bluetooth Speaker costs you under $105 on TNW Deals, with free shipping to the Continental US included. Be sure to choose between the black or grey options on the right side of the deal page.